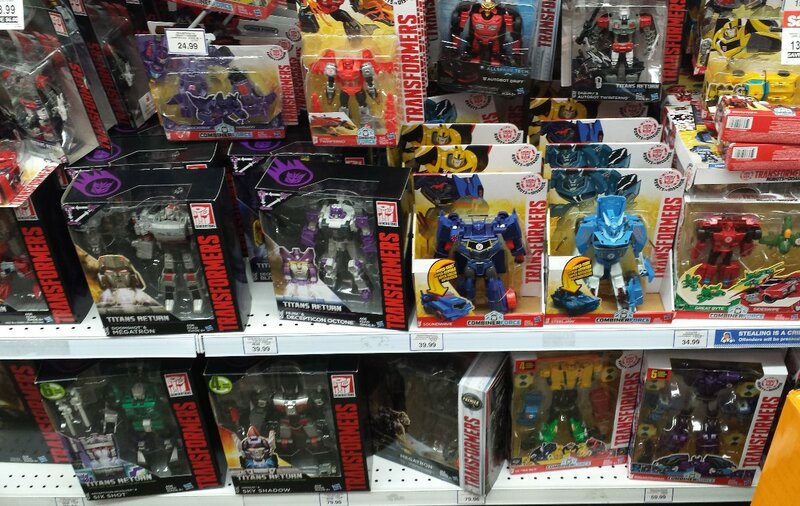 Myer Carindale has Soundwave, Octone, Blitzwing, Trypticon and Fort Max. They might have even got a sale if they were there 4 months ago. 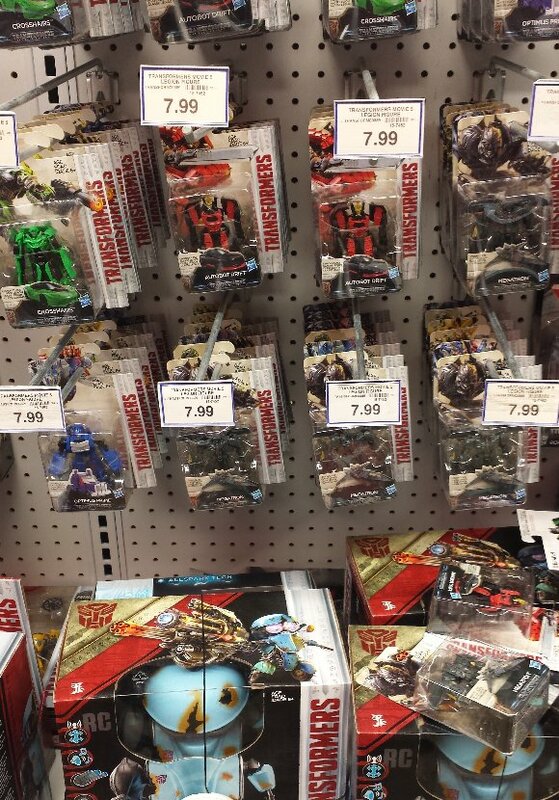 ToysRUs at Aspley have TR Voyager Blitzwing and Octone, as well as Leaders Sixshot and Skyshadow. They also had RID Warrior Twinferno and Thermador. At 20% off this weekend, it makes them $24 each. Plus the 2nd wave of Movie Legions, and just the earlier waves of everything else. Last edited by griffin; 10th December 2017 at 11:29 AM. Did have... I must have bought the last one earlier today. Still had 3 Octones left. Ah well, makes me feel better I still have a blitzwing coming from bbts then. We were there at 12.30pm, and we found a Blitzwing hiding behind the Octone. They also had both Megatron and Optimus... which meant two versions of each "mould" at the one store. They didn't have anything I wanted though. Picked up Galvatron and Octone at TRU Sunshine Plaza today. Had a few Blitzwing and Megatron too. Still 20% off. 1 Victorion set. Standard fare otherwise. 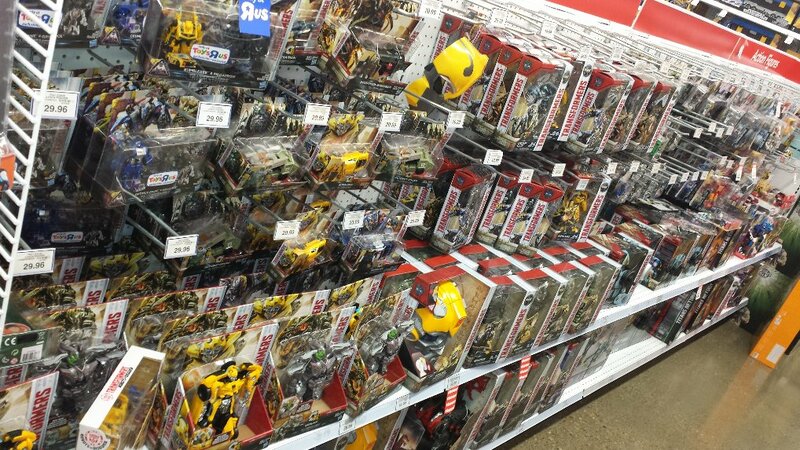 Toyworld at Kawana have a G1 Insecticon reissue box. Stug - did the 20% coupon apply to promotional items like TR Blitzwing? Kovert - No, but funny you should ask. Bought 2 different items, both on sale, and teller automatically scanned his copy of the code. The register began giving bizarre messages and he had to call his supervisor. It was melting down because it had nothing to apply the discount to. So no further discount, Stug? IIRC, TR Voyagers were on sale for $44.99. At that price, the saving would have been only 10%. Did they offer to put it through for the normal price of $49.99 so the 20% coupon could be applied?